Working from home is the dream. You get to work your hours, be your own boss, and can better manage your work/life balance so that you can truly live your life to its fullest. The only difficulties are, of course, finding and building a successful career from home. You need to not only invest a lot of time into your business, but you also need to be fully responsible for your routine. 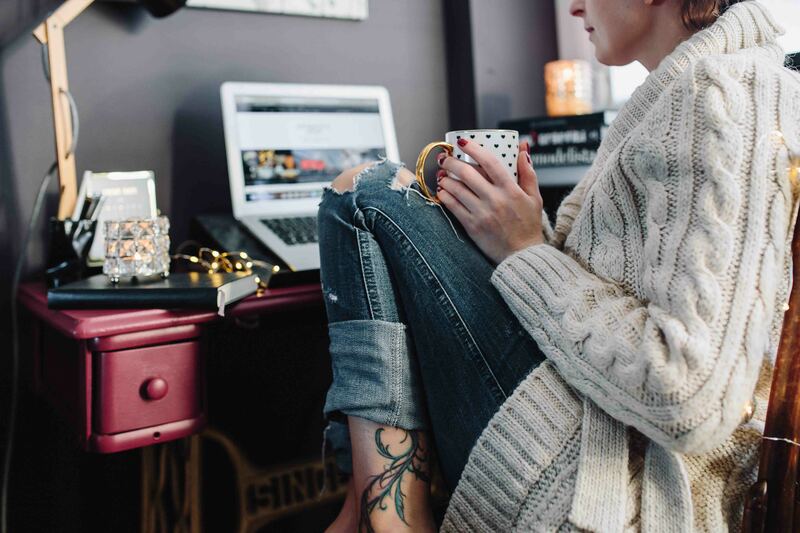 It can be challenging to manage a successful business from home, but by following this guide not only can you adopt this way of life, but you can become a more significant success than you ever thought you could. The first hurdle you must overcome when working at home is your routine. The best way to adopt a tremendous at-home working method is to build yourself an office. This way you can leave the rest of your home for relaxing and socializing, and your office for productive working. It also means you can put the right tools in your home office to help your business that you wouldn’t necessarily use outside of work. This may include a dedicated work computer on which you avoid high-risk sites and a VPN router to encrypt your Wi-Fi connection. Once you have a place to work at home productively, it is time to start your own business! Unless you already have a business in mind and are willing to put all of your time, effort, and money into it, chances are you will want to start something that you can do part-time. Starting a part-time business will allow you to keep your current job during your new business’ concept phase. A great way to do this is through e-commerce. Not only can you manage your business at odd hours, but you also don’t even need to have inventory on hand to manage. With a Shopify dropshipping business model, you can manage the store, make money, and leave the rest to the manufacturer. Being in charge of your own routine can be difficult. You can take as many breaks as you like, after all, and no supervisor is breathing down your neck to ensure you get things done in time. That is why you need to be strict with your routine, from the time you wake up to when you go to bed. Wake up at the same time, eat breakfast at the same time, and work at the same times every day. Doing so will help you stay healthy and manage your energies to be more productive day in and day out. Another common issue when working at home is the lack of social life. Working in an office might not be ideal for many, but it does offer the chance to socialize with your co-workers and meet new people. When you work at home, you don’t have these social ties. That is why you need to put more effort to get out there. Take classes, regularly schedule hang-outs and more. By getting out there and socializing, you can master your new work/life balance with ease. Working from home is great, but only if you learn how to master the balance and work productively. By following these tips, you can be a success on your own terms in no time. What Can An SEO Audit Tell You About Your Site?